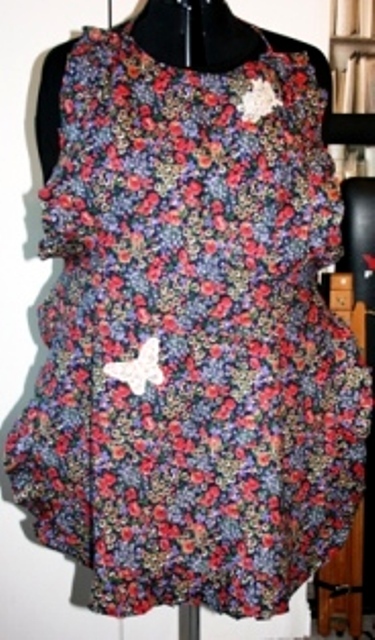 A full Apron, hand made in a lovely soft brushed cotton fabric with a black base and multi coloured flowers. 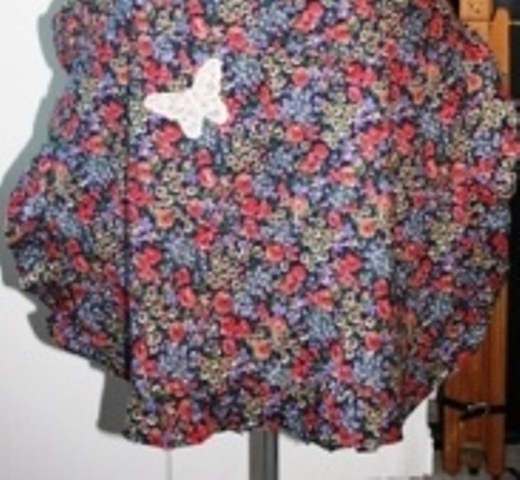 The apron has a large front pocket decorated with a lace butterfly. 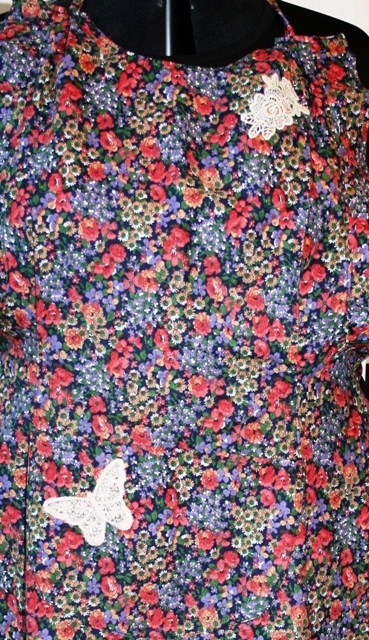 The bodice has a floral lace decoration. The apron is edged with a matching frill and has back waist ties and neck band. It will fit approx size of small to medium.